Morrison Kent Fairbairn graduated from Widener University School of Law with honors in 2011. He handles matters for the Township of Willingboro, the City of Atlantic City, NJEA clients, federal and state criminal defendants, and individual personal injury plaintiffs. 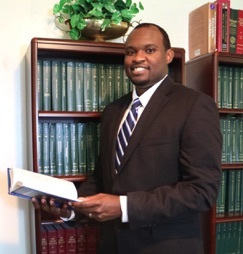 His assistance to the firm in matters of civil litigation includes drafting motions, briefs, oral arguments, deposition representation, and crucial legal research. Similarly, he assists the firm’s attorneys in pre-trial, trial, and post-trial representation. A member of the Law Review, Moot Court, and Trial Advocacy honor societies at Widener Law, Mr. Fairbairn earned a certificate of achievement in trial advocacy and was the winner Widener’s annual multi-state trial competition. Mr. Fairbairn has clerked with attorney general offices in New Jersey, Delaware and Virginia. He is admitted to practice in the state of New Jersey and Pennsylvania.